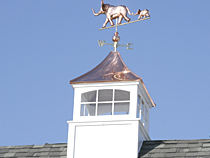 Our company has many years of experience in designing and constructing Custom Pole Barns & Garages. In fact, this is what we are known for - Custom Barn Construction. 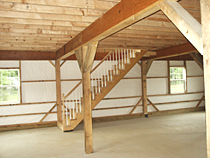 We have built Pole Barns, Rustic Oak-Framed Barns and even Barn Looking Homes with conventional stud framing. 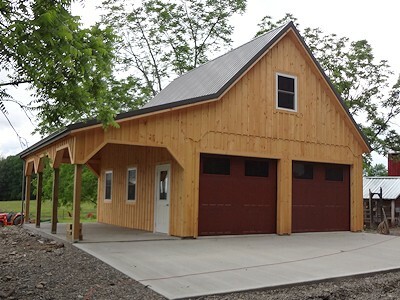 Every garage or barn that we build is custom made - you pick the size, tell us what options and features you want, and we'll have the barn built to your specifications. We take all the necessary steps to be certain you are investing in a sound & a properly built structure that is protected for many years to come.... Our barns may be used for storage, as car garages, cabins, work shops, custom homes and much more. Many options such as lofts, dormers, different type of roofs, apartments, lean-tos, etc. are available and may be added to any of our barn or a car garage. Looking for an older style rustic frame design? We now offer barns & garages built with green rough cut oak frame. 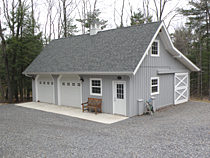 Our builder has close to 10 years of experience in constructing custom barns with oak lumber. See Oak Framed Barns for more details. 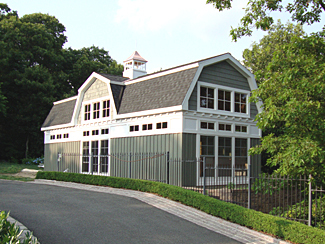 If you are looking for a quality and a sturdy crafted Storage Barn or a Car Garage, our structural design and attention we put into every detail during construction - offers both! 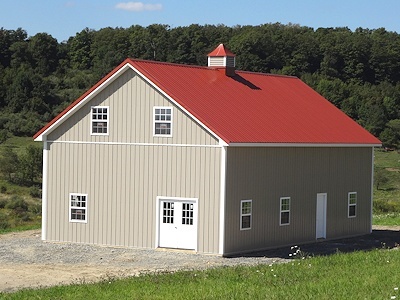 As of now, all of our on-site built barns that we offer are constructed by Oak Hill Construction Services, LLC. It's a small local company located in Lebanon, PA which serves local states only, such as NJ, MD, VA & PA. 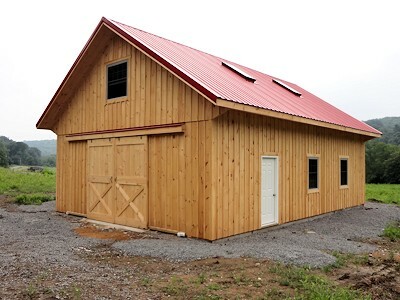 If you are not in our service area but are still interested in one of our custom barns, we might be able to recommend a reputable barn builder. Please call us for more information.